You vacuum and clean your carpets on a regular basis, but have you ever wondered how professional carpet cleaning can make a difference? A deep carpet cleaning can help to remove surface stains, brighten the appearance of your carpeting, and make your home healthier. Deep carpet cleaning can help to control mold, bacteria and indoor allergens that could be trapped in your carpeting. 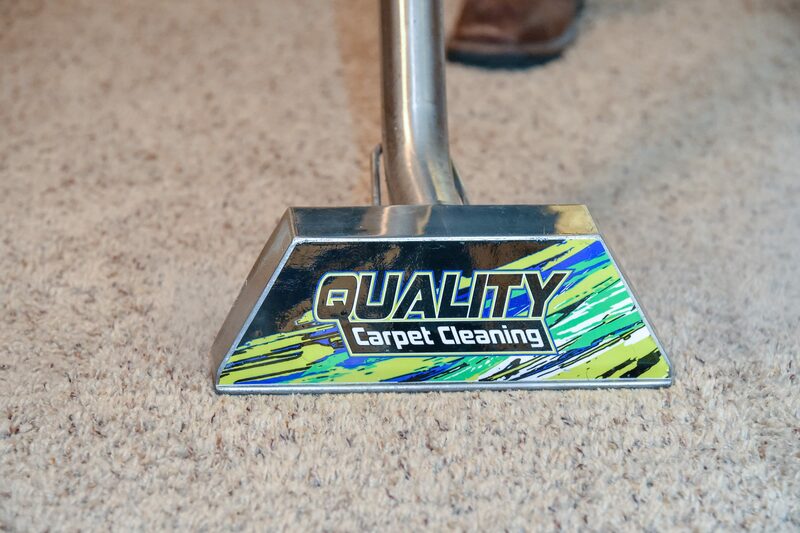 Before you purchase new carpets for your home, consider having them deep cleaned by the carpet professionals from Quality Carpet Cleaning, LLC. Professional carpet cleaning can help to keep your carpet looking new and in great shape. Our carpet cleaning process starts with a prepping by vacuuming, spraying, spotting and grooming in order to maximize the cleaning that’s to come. We use a process called Hot Water Extraction that provides a deeper clean than our dry clean competitors. Hot Water Extraction works by giving a deeper clean through your carpet all the way to the base. It leaves the carpet damper than dry clean methods but is far cleaner. After our post grooming, we will do a cleaning inspection to make sure that your carpet is looking its best. Our carpet cleaning will remove allergens and the toughest of stains so that you can have the carpet that you bought in the beginning. Whether a part of a home or a business, rugs are an important asset to any living area. Keeping them clean and free of dirt and other contaminants is important to the look and feel of your building. A deep cleaning removes allergens and bacteria from accumulating in the rug that would otherwise affect your health indoors. We service rugs of all kinds and types so that your business and living area are looking their best. At Quality Carpet, we have a specially designed rug bath that allows us to bring your rug into our shop for treatment. This prevents mold and mildew from building up on the rug from being cleaned on-site. It is more time consuming but it will result in a cleaner rug that you won’t have to replace because of a bad cleaning. Our technicians are trained to treat each kind of rug fiber differently to clean them. Don’t settle for a company that is going to clean your area rug as if it is just another piece of carpet – different rug fibers must be cleaned in a specific way to ensure the rugs are not damaged and are cleaned thoroughly. Tile cleaning can be an arduous task. Leave it up to our trained technicians who treat each type of specialty tile and grout with the care it needs. We will get your tile and grout as clean as new, without breaking your back. Our trained crew uses industrial-mounted truck equipment to remove all contaminants from your tile and grout so that your business and home look their best on all occasions. Our tile and grout cleaning process starts with us removing all contaminants from the surface of the floor. After we have cleaned your tile and grout, we use a grout sealant to prevent dirt and debris from soaking into your grout lines and damaging it. This process keeps your tile looking great for the seasons to come. Our technicians are trained to clean your furniture to get it back to its original look. Our chemicals are safe for people and pets so that you can use your furniture after we get done. We are prepared to clean and care for all types of upholstery materials. Our upholstery cleaning takes place on-site with our industrial truck-mounted equipment. With this equipment, we are able to bring our cleaning process to you and provide the best cleaning possible for your furniture. Our technicians are prepared for any type of material that your upholstery may be made of. By using pet and people friendly chemicals we are able to get you back in your living area as soon as possible. Should your home ever get flooded after heavy rainfall or a storm, it’s important you have a reliable company you can call on for prompt water extraction service. Our staff is highly experienced and qualified to remove excess water from your carpeting after a fire, flood, or storm blows through your area. 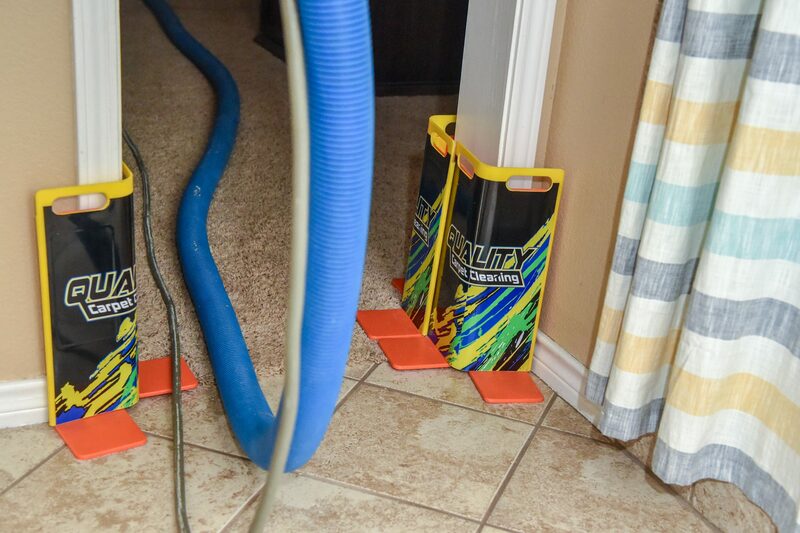 We have the right equipment and expertise you can trust to safely extract the water from your property, including the surface of your floors and underneath them. Water damage can cost you a lot in structural repairs or new flooring altogether. It can also damage your valuables, furniture, and other belongings. Our team will assess the situation, acting fast to extract any amount of water from your property before mold starts to grow, or worse. Do you suffer from terrible allergies all year-round and not just during peak allergy season? Are you noticing respiratory problems that seem to be getting worse? Bad indoor air quality caused by dirty air ducts full of air pollutants can be extremely hazardous to your health. The worst part is, the causes of bad indoor air quality are hiding out in your air ducts. Symptoms of air pollutants include the following: coughing, sneezing, headaches, upper respiratory congestion, itchy or watery eyes, and More! Why live with these symptoms any longer if you don’t have to? A solution may be easier than you think. Routine air duct cleaning can leave your home fresh and free of dust and airborne allergens. If you haven’t scheduled your next air duct cleaning, what are you waiting for? A routine cleaning done by a professional is the best way to restore the air quality in your home. After an inspection and consultation, our professionals will show up at your door ready to work. We start by removing all duct registers for a wash and after setting those aside, we clear the supply and return ducts of any debris or build-up. With our industrial truck mounted equipment, we are able to extract the contaminants from the ducts leaving your home free of dust and allergens. We then use a bio microbial sealant and deodorizer to shut off your home from contaminants. 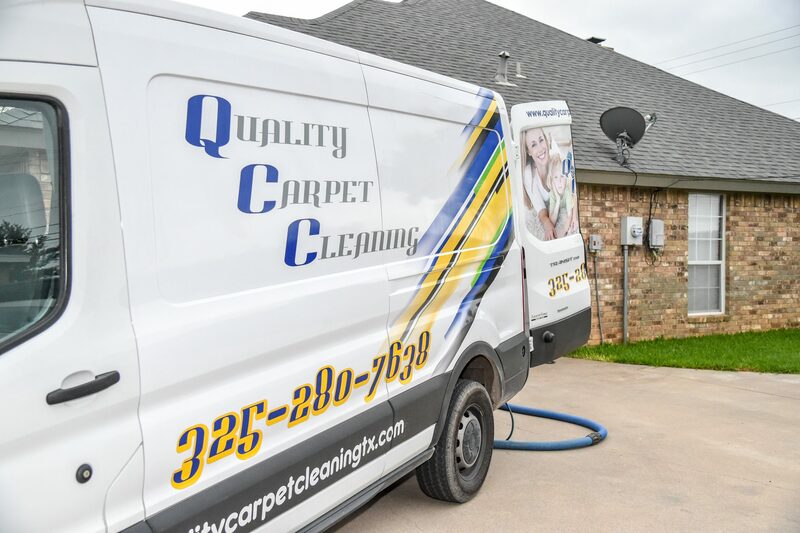 Quality Carpet Cleaning is a team of carpet cleaning professionals serving the Abilene, TX, region. If you need a carpet cleaning unlike any other, get in touch with us today. We sell & install new flooring. Love the company! Lee does a great job every time he comes out! Tim steam cleaned and sealed our tile floors and grout recently. The floors were nice and clean, but more importantly, the grout was perfectly clean and looked fantastic! Thanks for the quick service and quality work! If you go with them, request Lee! He always does an excellent job every time!! We offer 10% off for all active and retired military.